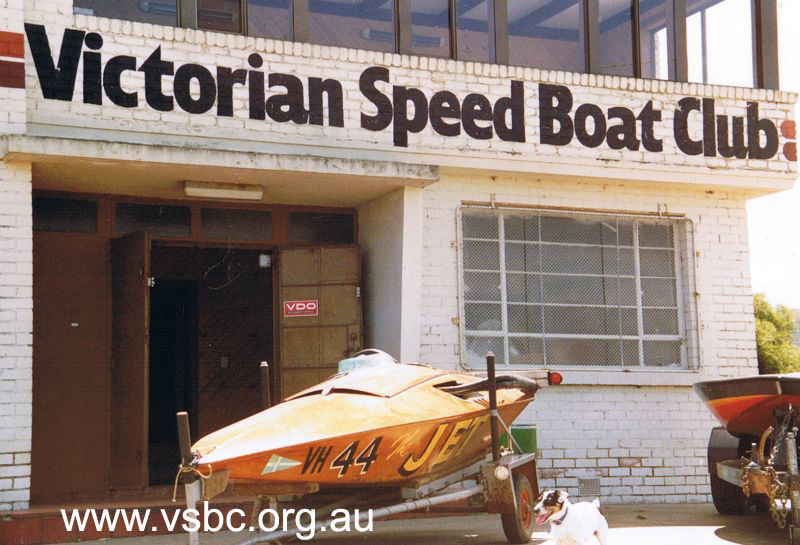 A Short History of the Victorian Speed Boat Club. 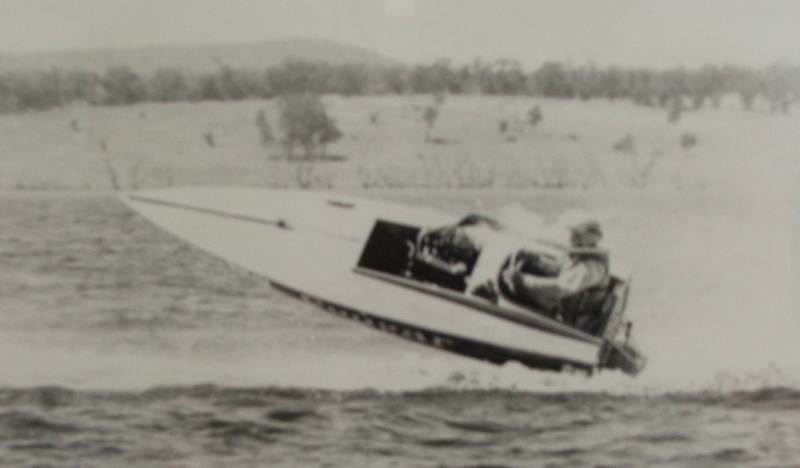 The following is an article written in December 1954 for Australian Power Boat and Yachting Monthly magazine by Ern Gough, a life member of the VSBC. 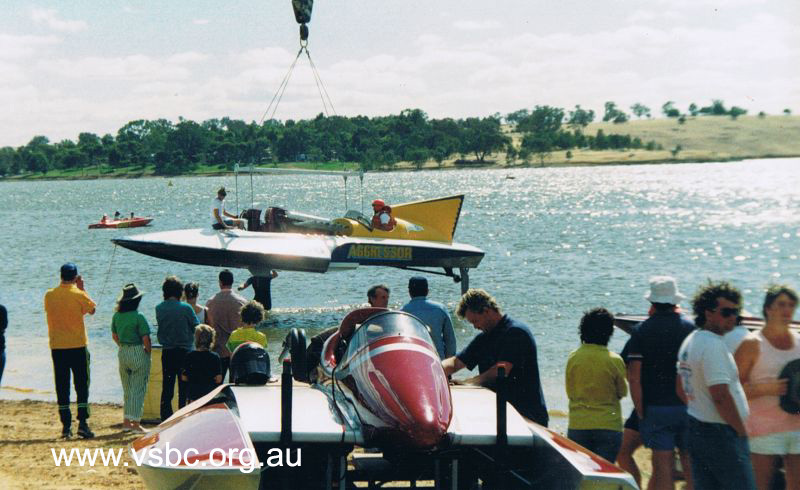 THE Victorian Speedboat Club, with one hundred and fifty-eight active members and fifty boats on the home register, together with ten affiliated clubs in country centres, has made remarkable progress since its formation in 1948. 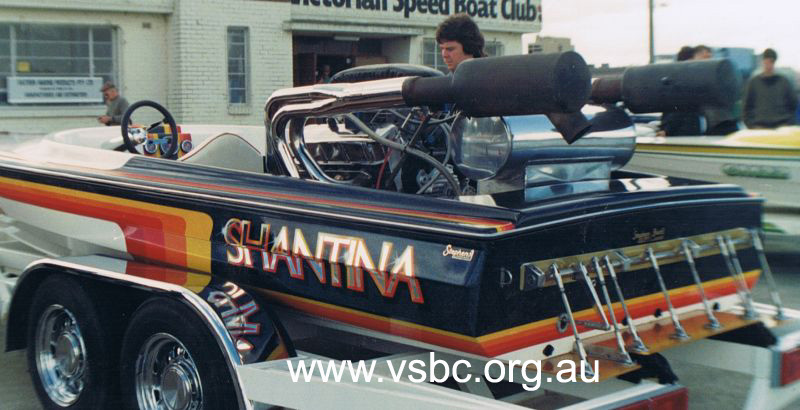 On the 8th September of that year a meeting was held in the Memorial Hall at Sandringham to discuss the possibilities of forming a speedboat club to conduct race meetings on Port Phillip Bay. The eighteen enthusiasts present, Messrs. L. Owen, N. Kerby. F. Mazzalett, T. Errol, I. Berry, W. Burrell, L. Porte. K. Wood, J. Nugent, A. B. Joynson, R. W. Joynson. R. Toupin, A. Watkin, N. Watkin, P. May, K, Cummins, L. Henderson and T. Fisher unanimously agreed that a club with these objects could be formed and conducted successfully. Mr. L. E. Henderson was elected honorary secretary, Mr. L. Owen treasurer and Mr. N. Kerby handicapper. The committee elected were Messrs. W. Burrell, A. Watkins and N. Watkins. The first meeting of the new club was held a fortnight later and two trophies were donated by Mrs. Kerby to open the season. 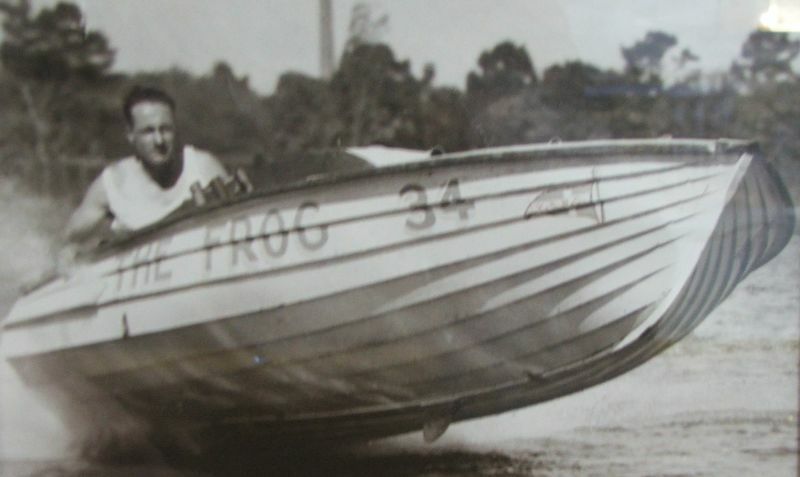 The first boats registered with the club were; Grub (A. Watkin). Mercury (L. Owen), Hotspur (L. E. Henderson), Wonga (W. Burrell), Osprey (A.J. 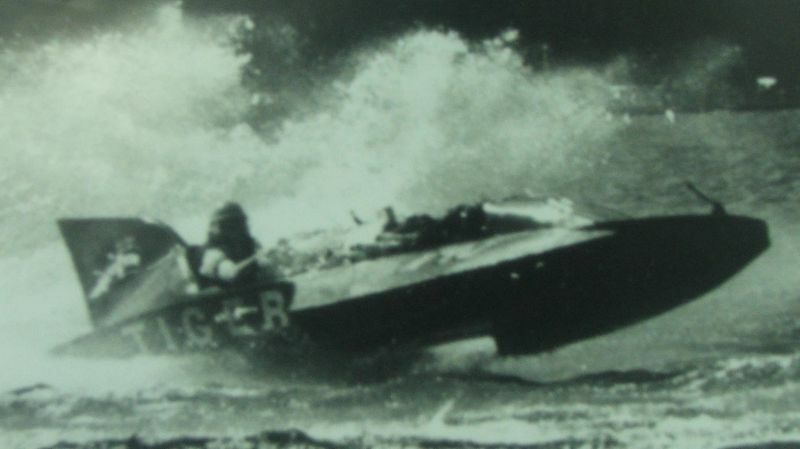 Feore), N-I (N. Watkin), Typhoon (L. Owen) and Slipstream (L. Stone). The first president of the club was Mr. L. Owen, who resigned from the treasurer's post to accept the higher position. The first race meeting was held on the 21st November and the success of this function gave high hopes for the future of the club. 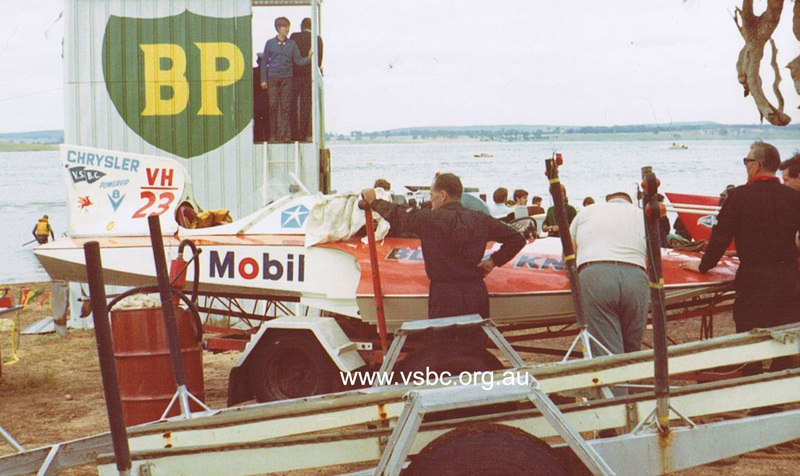 A welcome visitor to this meeting was a member of the committee of the St. George Motor Boat Club, New South Wales, who donated a trophy for the following race meeting. The club appreciated the very encouraging gesture. The club had made a good start and by the end of the year had a credit balance and had established a shield for competition which the years following, this shield has been held by Sandra Lee (L. Abrahams), Silver (H. Cooko), Silver (S. Sayer), and Bingo (R. Mates). 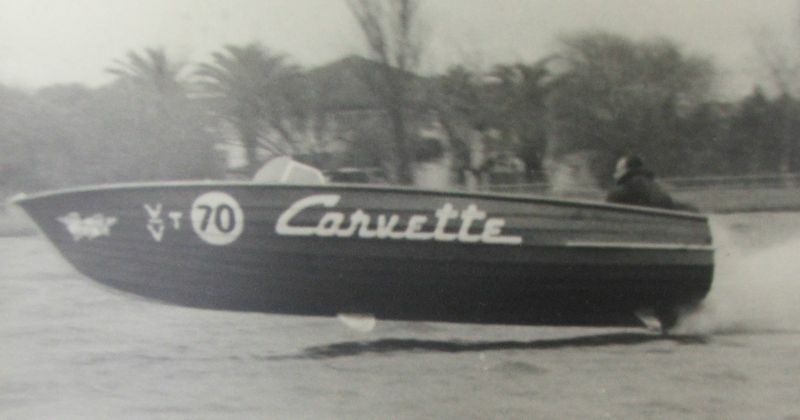 In February 1949, a rule was adopted which still stands, that ladies may be carried as passengers during races but must not be allowed to steer or control the boat in any way. The club had now moved to new premises very generously placed at the disposal of the club, free of cost, by Mr. A. Watkin. In March 1949, Mr. J. Sayer took up the duties of honorary secretary, Mr. Henderson having to relinquish these duties owing to illness. 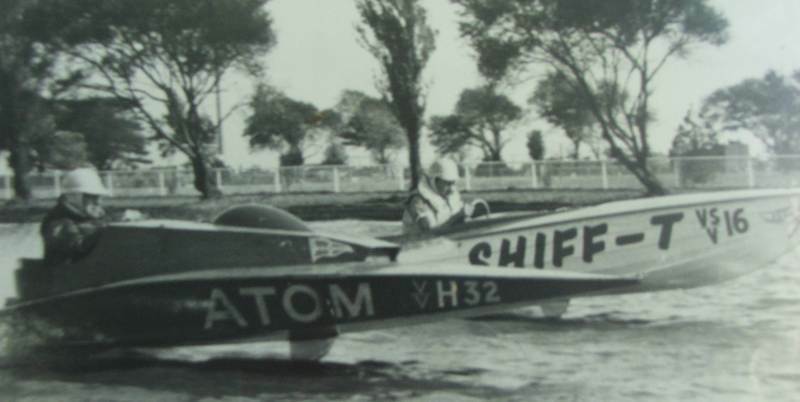 On April 16, 1949, the first Victorian championship was held on Nagambie Lake. 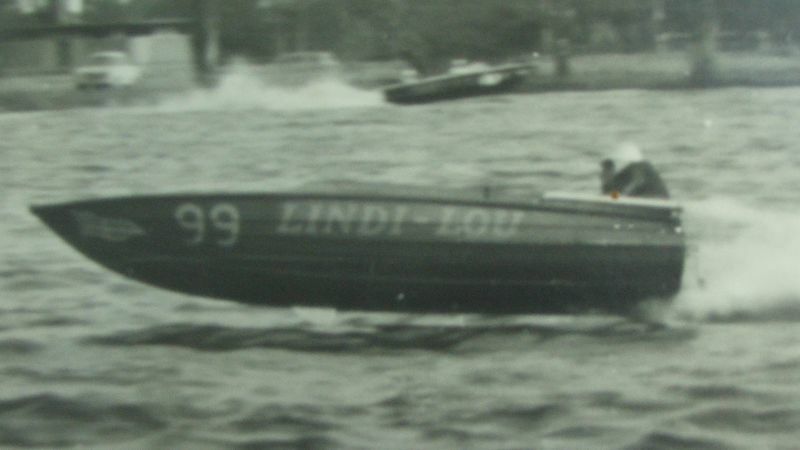 In September 1949, a deputation from the club attended the Albert Park Trust with the view to obtaining permission to race on the lake. 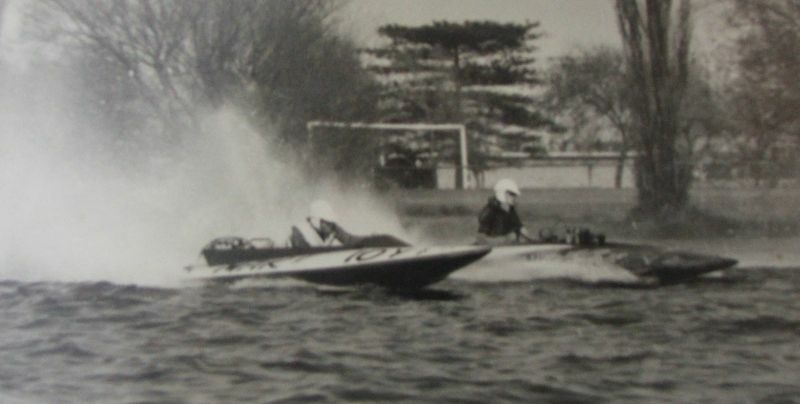 The outcome of this interview was that the club was invited to conduct a trial run on the lake with a fast boat. 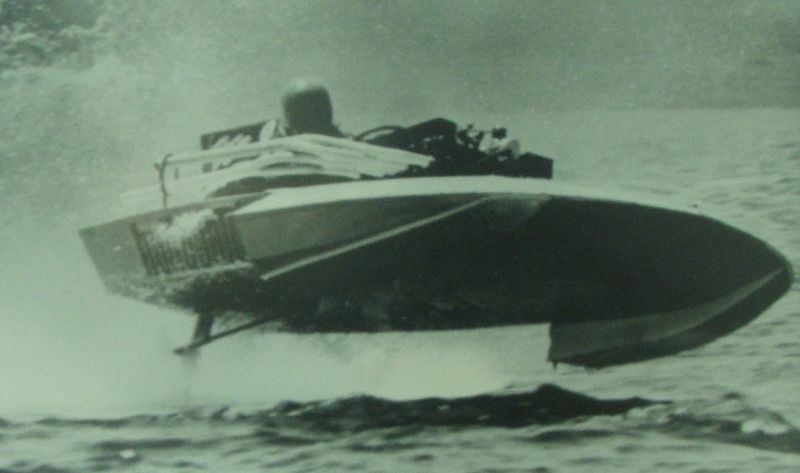 Mr. L Owen's Typhoon was selected to make the test run on the 26th September, and, after this run was witnessed by the various officials, permission was granted to conduct the speedboat racing on these waters. 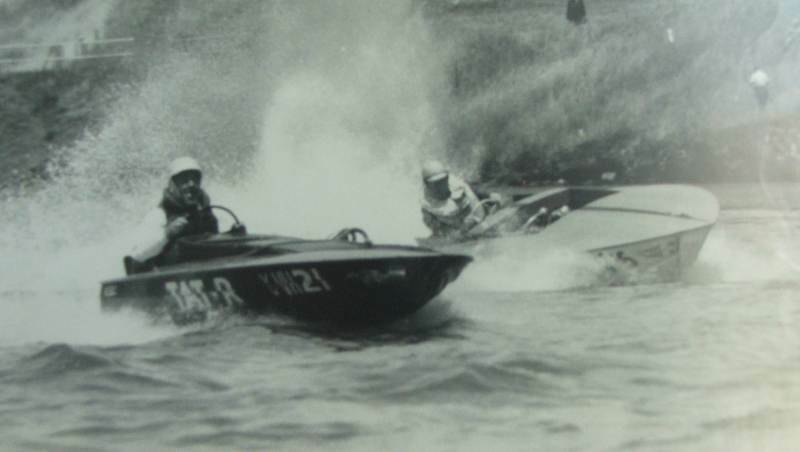 In May, 1950, the club held two new championships, the Len Owen Trophy for unlimited unrestricted boats and the W. Burrell Trophy for 255 cubic inch unrestricted boats. It was at this time that Mr. L. Owen resigned from the position of president and his place was taken by Mr. A. Watkin. 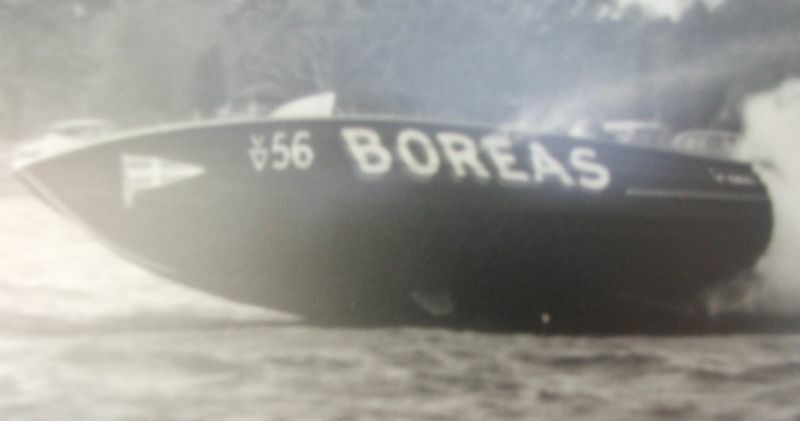 The officers and officials for the year 1950-195 1 were: Commodore, Mr. A. Watkin; Vice-Commodore, Mr. W. Burrell; Honorary Secretary, Mr. J. Sayer; Treasurer, Mr. L. Abrahams. 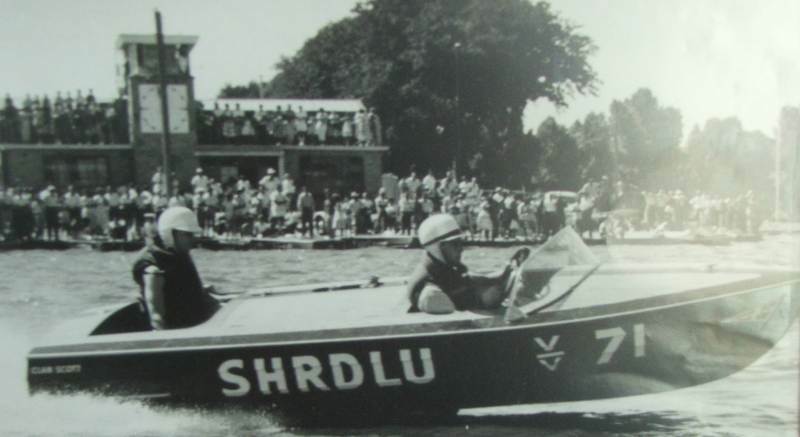 In February 1951, a new branch was formed and racing was conducted at Green Lake, Horsham, whilst permission had been granted to build a clubhouse on a site at Albert Lake. The Jubilee Trophy for the best day's racing was won by Mr. E. Gougjh in Labo. 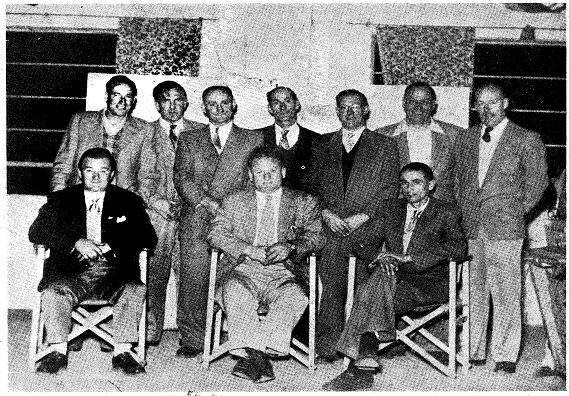 The club had expanded during the year, and for the season 1951-52 the same officers were elected with the addition of a committee consisting of Messrs. J. Kumm, L. French, D. Taylor, B. Feore and J. Nugent. 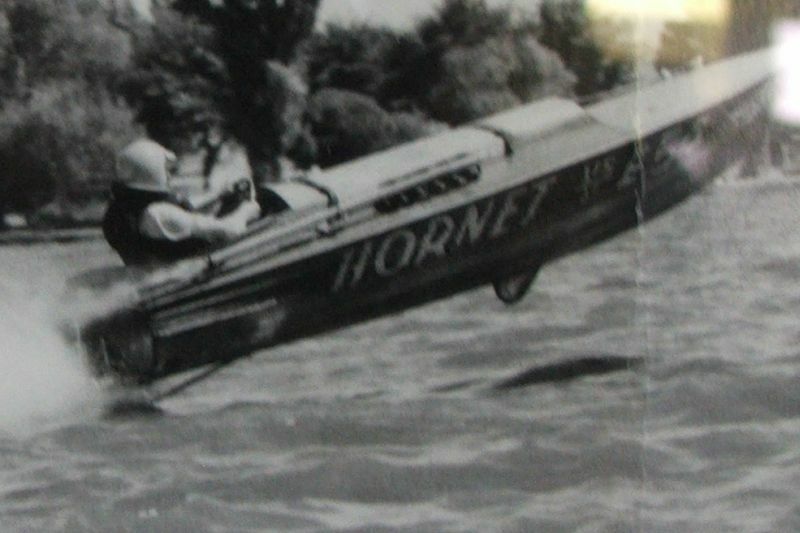 The race secretary was Mr. J. Atkinson. 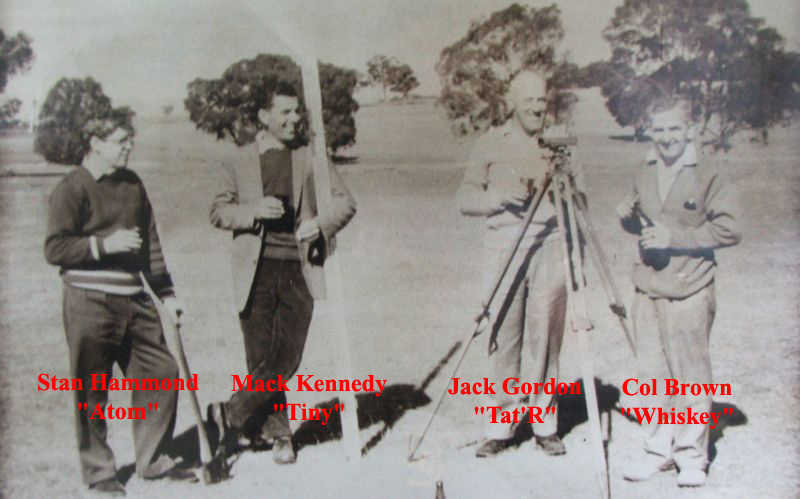 In October 1952, the building of the clubhouse was started with the willing help of the members, who organised working bees under the supervision of Mr. L. French and a great amount of work was accomplished. 1953-54 saw some changes in the personnel of the club, Mr. Watkins and Mr. Sayer retired from office and the club regretted losing the services of these two sterling workers. 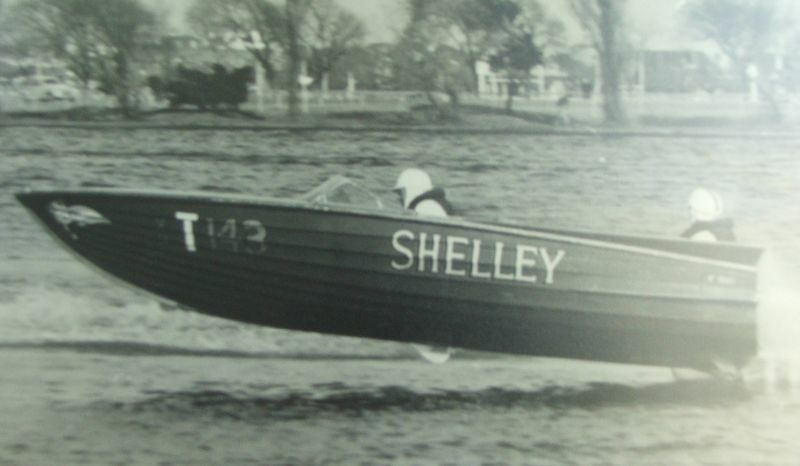 The new officers and officials for the season were: Commodore, Mr. W. Burrell; Vice-Commodore, Mr. J. Atkinson; Honorary Secretary, Mr. J. Burns; Treasurer, Mr. S. Buck. 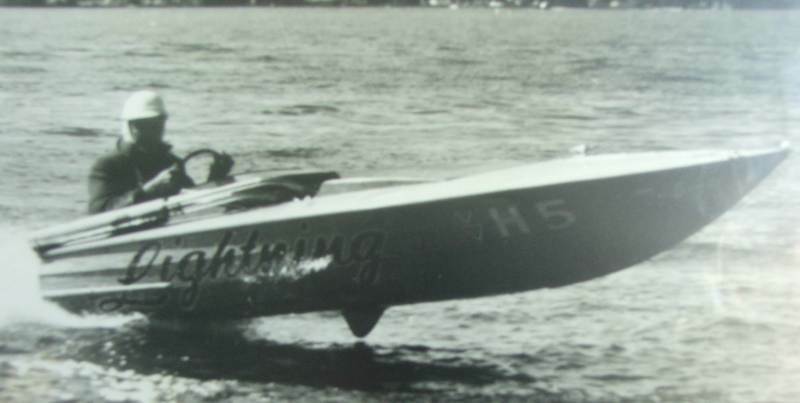 Messrs. L. French, J. Nugent, E. Gough, F. Drenikow and W. Stratton formed the committee, with Mr. C. McLaggen race secretary and Mr. R. Mates the trophy master. 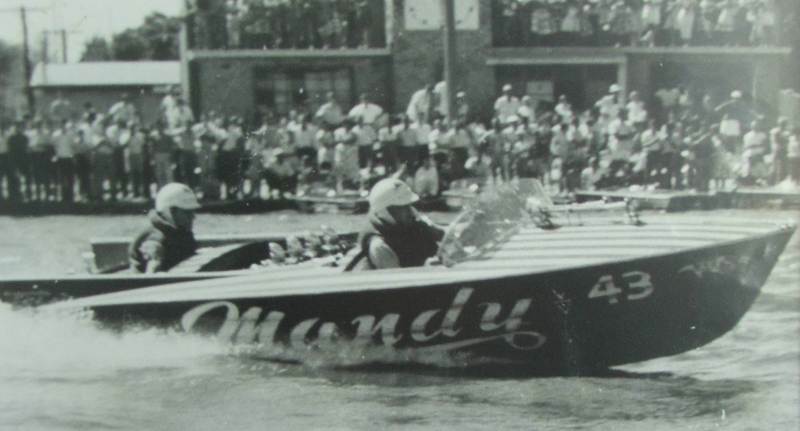 The committee decided that the Robert Dewley Trophy, won 'by Lindy-Lou (L.' Grump), would be run at Yarrawonga on New Year's Day. 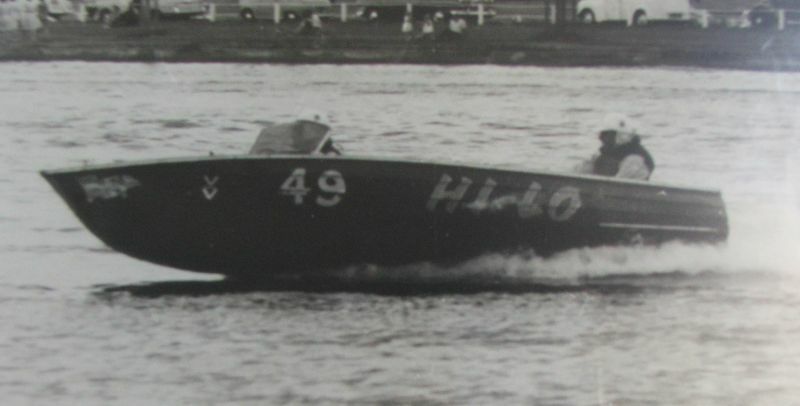 This season, '53-'54, proved to be very successful in regard to racing and social activities and the club-house was well on the way to completion. Commodore, Mr. W. Burrell; Vice-Commodore, Mr J Sayer; Honorary Secretary, Mr. E. Gough; Treasurer, Mr. N. martin. Messrs. L. Owen, L. French, B. Rehn, C. McLaggen and J. Gordon are the committeemen, with Mr O. Cook race secretary, Mr. J. Nugent social secretary and Mr. R. Mates the trophy master. 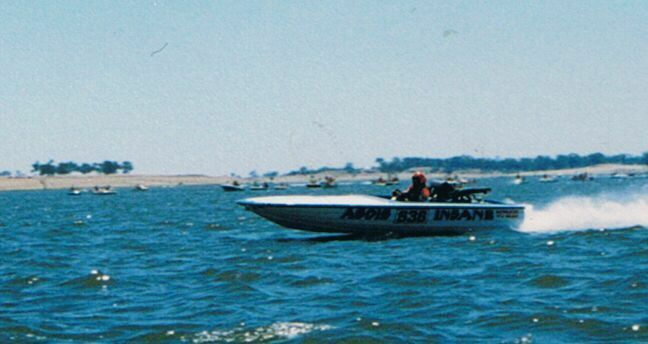 Over the Christmas holiday period, the most important racing in the history of the club will be carried out at Yarrawonga. 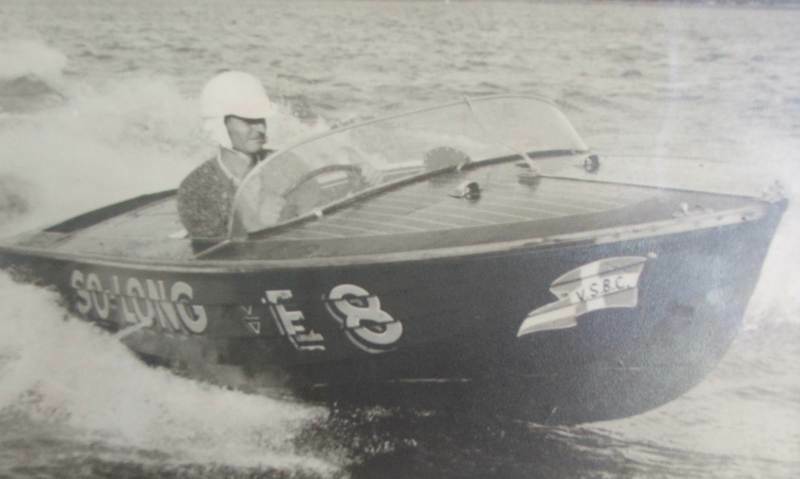 On Boxing Day the Harry Hasbick Championship of £50 and a trophy will be competed for, by unlimited and unrestricted class boats.. 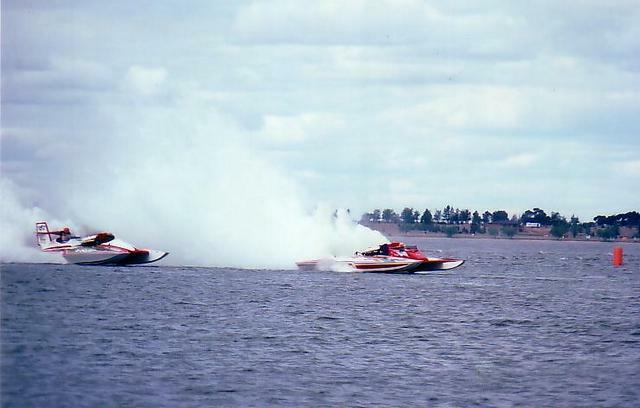 The Yarrawonga Championship, carrying the Frog Trophy, is set down for New Year's Day and is for 265 cubic inch restricted class boats, run over ten miles. 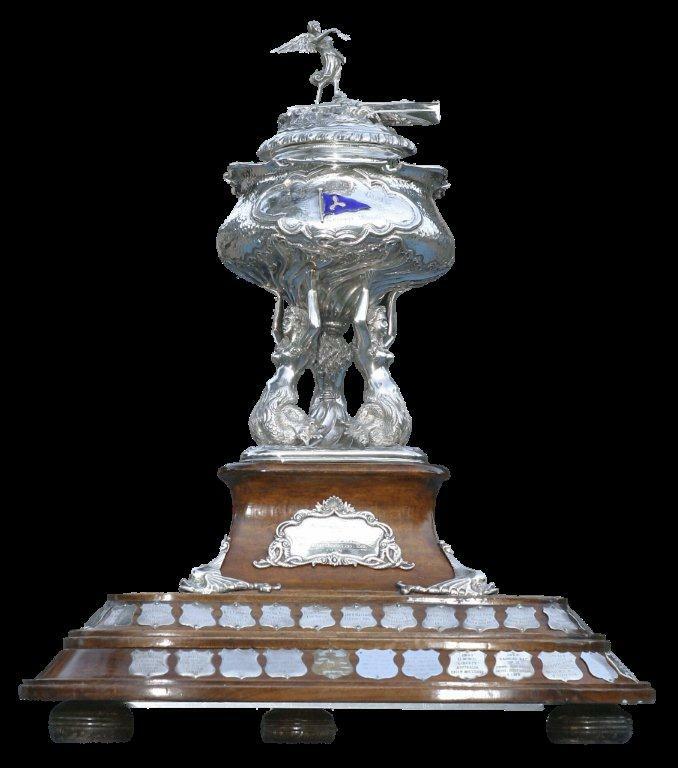 The championship carries £200 prize money, whilst the Frog Trophy is a perpetual trophy valued at £70. Entry forms for these races are available from the hon. secretary, Mr. E. Gough, 1 Allen Street, East Brunswick, Victoria. 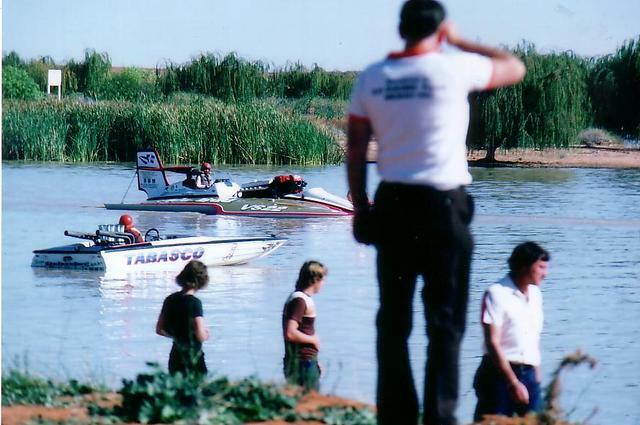 The race meeting held on the 14th November consisted of three grade races of two divisions each. In the A grade scratch race, Nippa (B. Rehn) was successful and Queda (A. Watkins) took the handicap section. Diane (J. Ross-Cameron and M. Hastie) won the scratch section of the B grade, whilst Dan-te (N. Beechy) won the handicap section. The C grade scratch event was won by Shrimp (K. Young), who also collected the handicap prize. Front Row: E.Gpugh, Secretary; W. Burrell, Commodore; J.Sayer, Vice Commodore. Back Row: L. French, C. McLaggen, J. Nugent, L Owen, N. Martin, B. Rehn, and J. Gordon. Celebrating confirmation that the "Island" will not be an Island.